Everything is set for a bumper Fleetwood Carnival on Saturday – and fingers crossed for a sunny day. After months of tireless preparation, the big event takes place on The Esplanade for judging before the annual procession winds its way through the town centre. Fancy dress judging takes place in the Marine Hall at noon, participants need to arrive at 11.45am to register and the judging of the floats also takes place at noon on The Esplanade. The Parade will set off at 1pm and will not turn as in previous years at the North Euston. Instead it will carry on along The Esplanade past the RNLI and Ferry Cafe and Amusement Arcade and turn right into Kent Street. 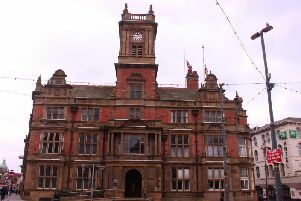 It will then proceed on to North Albert Street, Lord Street, turn right into Poulton Street, Poulton Road, turning right into Carr Road and finally right on to the promenade and back to the Marine Hall. Chairman Ann Hanvey said: “Once back at the Marine Hall, come and join us for a fun packed family fun day. There’ll be kiddies rides, a bouncy castle, trampolines, face painting, army climbing wall, penalty shoot out by Fleetwood Gym, display by Mount Taekwondo and Homeless Hounds. Fleetwood Town FC will be in attendance and ‘Bonkers’ Circus with lots of fun and laughter. Tins can be picked up and signed for in the Marine Hall foyer from 11.30am. Collection for own organisations is not allowed.